Through the spread of bacteria and infection, body fluids can cause diseases such as hepatitis B, hepatitis C, and HIV. To prevent yourself and others from being exposed to body fluids, you need to deal with them properly. There are simple best practice procedures and policies that you need to abide by when cleaning up body fluid spills. 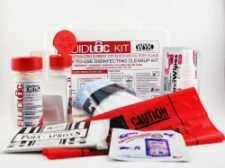 A body fluid cleanup kit with all the proper equipment is all you need to decontaminate and clean the spill effectively. Isolating a biohazard spill would reduce the risk of infecting others. Here are the types of bodily fluid excretions and other potentially infectious fluids and materials we are talking about. Bloodborne pathogens, amniotic fluid, urine, vomit, cultures, tissue, organs, saliva, cerebrospinal fluids, formaldehyde, glutaraldehyde, pleural fluid, pericardial fluid, peritoneal fluid and amniotic fluid. The sorbent in our body fluid cleanup kits will encapsulate these fluids. Bodily fluid cleanup can be a risky job. Cleaning the bodily fluid cannot be done with just water and a mop. 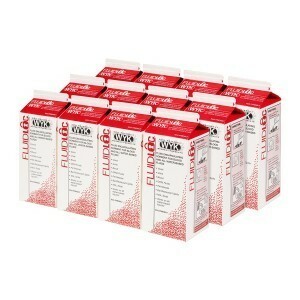 You need professional bodily fluid disposal kits and established standard operating procedures. 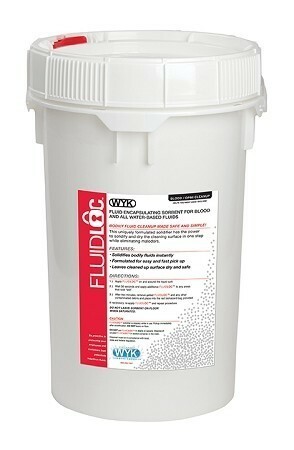 Everyone in the building should be able to use the body fluid cleanup kit correctly. Personal protection equipment (PPE) is important and are included in our bodily fluid disposal kits. Put the equipment on before attempting to clean up any spill. 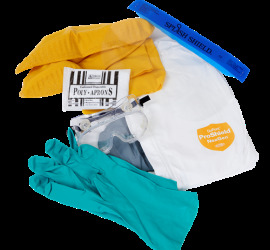 PPE items you need to have are a disposable apron, face mask, disposable shoe covers, eye shields and nitrile gloves. All items should be disposed of after use. 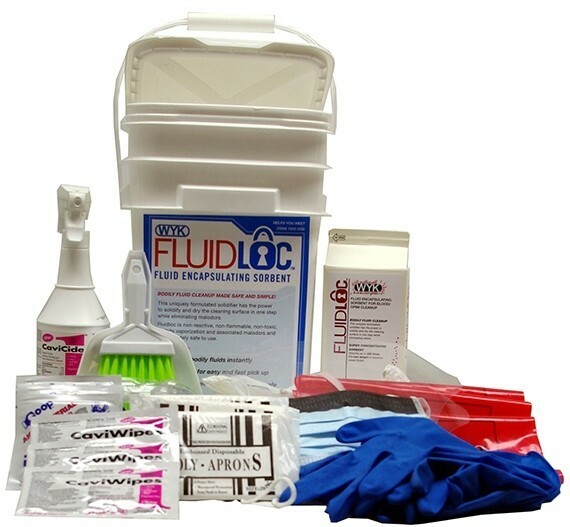 These items are included in our body fluid cleanup kits. 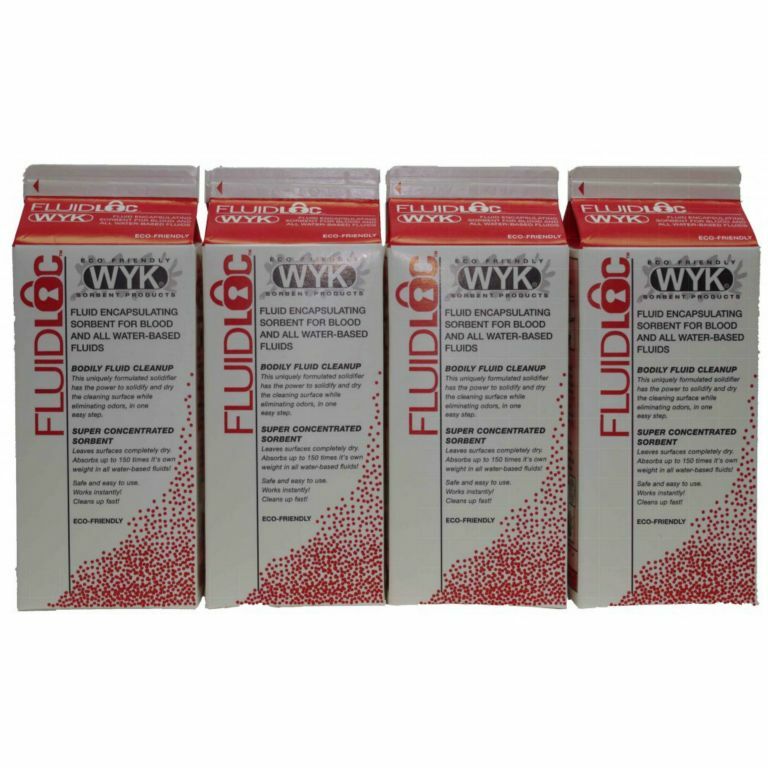 Our bodily fluid disposal kits come with a uniquely formulated product that solidifies the blood or body fluid as well as eliminating the odor. Working instantly to insure spill control. It absorbs up to 150 times its weight in water-based fluids. Cleaning up fluids with just disposable towels and a hand wipe is just not safe. 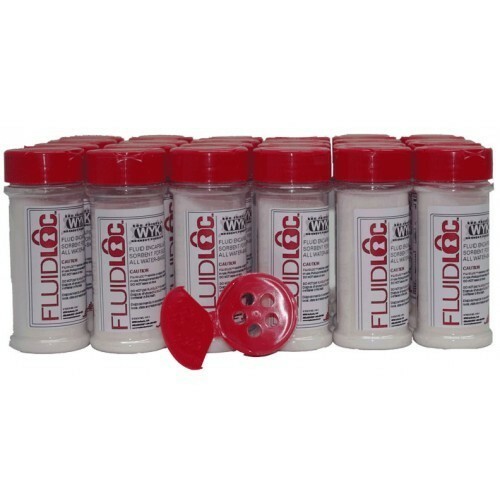 The encapsulating sorbent in this bodily fluid disposal kit is completely safe to use. It is non-flammable, non-toxic, non-reactive and inhibits odors. Body fluids are instantly solidified for fast and easy pickup. All body fluids listed above under "What are Body Fluids?" can be cleaned up. Open the bodily fluid disposal kit, put on all the personal protection equipment (PPE). Wait around 30 seconds, apply additional sorbent to any areas that look "wet". Let the sorbent work for a couple of minutes. Then work the sorbent with the scraper pick-up scoop and add more product if needed. Carefully remove the gelled sorbent tools provided and place it into the biohazard bag. Use the disinfectant spray to wet the entire surface area that was cleaned up. The disinfectant spray should be left a minimum of one minute or be allowed to dry completely. Spray inside the biohazard bag and any PPE that may have become contaminated. Disinfectant wipes may also be used to clean and disinfect surfaces. NOT for use on hands or skin. Carefully remove PPE being careful not to touch your skin. Place used PPE into the red biohazard bag. Pour any remaining sorbent into the red biohazard bag and spray disinfectant into the bag again. Gloves should be last item placed in the biohazard bag. Seal bag immediately. Clean hands thoroughly with soap and hot water. Dispose of biohazardous bag according to State, Federal and Local regulations. Large selection of encapsulating sorbent in various types of containers and amounts below. 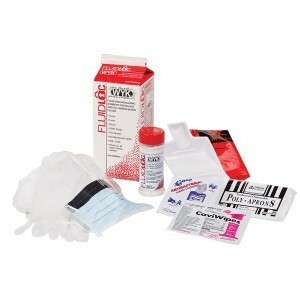 Order extra blood PPE kits below. Order your complete, effective, body fluid cleanup kits today. 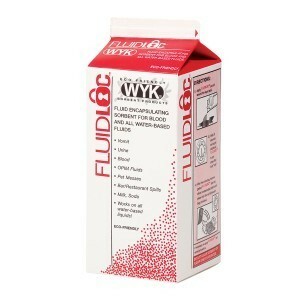 Also ideal for pet and animal fluid cleanup. 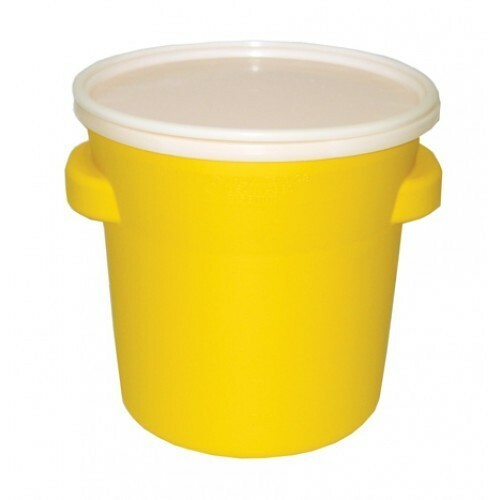 Standard PPE Kit – One (1) kit. Includes goggles, gloves, apron, boots and face shield. Deluxe PPE Kit – One (1) kit. Includes goggles, gloves overalls, boots and face shield.